Thawa durai jeewithe Episode 166 || තව දුරයි ජීවිතේ . . සතියේ දිනවල රාත්‍රී 7.55 ට . . . .
Thawa durai jeewithe Episode 174 || තව දුරයි ජීවිතේ . . සතියේ දිනවල රාත්‍රී 7.55 ට . . . .
Thawa durai jeewithe Episode 173 || තව දුරයි ජීවිතේ . . සතියේ දිනවල රාත්‍රී 7.55 ට . . .
Thawa durai jeewithe Episode 172 || තව දුරයි ජීවිතේ . . සතියේ දිනවල රාත්‍රී 7.55 ට . . . .
Thawa durai jeewithe Episode 171 || තව දුරයි ජීවිතේ . . සතියේ දිනවල රාත්‍රී 7.55 ට . . . .
Thawa durai jeewithe Episode 170 || තව දුරයි ජීවිතේ . . සතියේ දිනවල රාත්‍රී 7.55 ට . . . .
Thawa durai jeewithe Episode 169 || තව දුරයි ජීවිතේ . . සතියේ දිනවල රාත්‍රී 7.55 ට . . . .
Thawa durai jeewithe Episode 168 || තව දුරයි ජීවිතේ . . සතියේ දිනවල රාත්‍රී 7.55 ට . . . .
Thawa durai jeewithe Episode 167 || තව දුරයි ජීවිතේ . . සතියේ දිනවල රාත්‍රී 7.55 ට . . . .
Thawa durai jeewithe Episode 165 || තව දුරයි ජීවිතේ . . සතියේ. 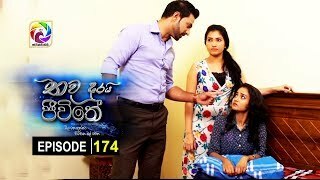 දිනවල රාත්‍රී 7.55 ට . . .
Thawa durai jeewithe Episode 164 || තව දුරයි ජීවිතේ . . සතියේ දිනවල රාත්‍රී 7.55 ට . . . .
Thawa durai jeewithe Episode 163 || තව දුරයි ජීවිතේ . . සතියේ දිනවල රාත්‍රී 7.55 ට . . . .
Thawa durai jeewithe Episode 162 || තව දුරයි ජීවිතේ . . සතියේ දිනවල රාත්‍රී 7.55 ට . . . .